Rio de Janeiro is known for beaches, parks, museums, nature, and nightlife. 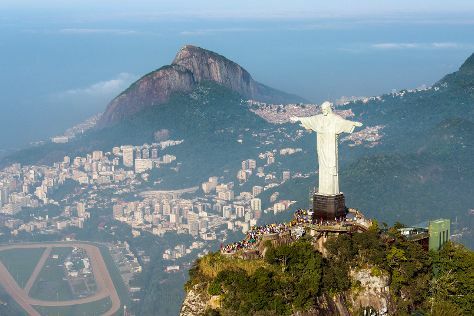 Your plan includes some of its best attractions: tour the pleasant surroundings at Copacabana Beach, pause for some photo ops at Corcovado Christ the Redeemer, admire all the interesting features of Maracanã, and kick back and relax at Barra da Tijuca Beach. To see more things to do, reviews, photos, and tourist information, you can read our Rio de Janeiro sightseeing planner. London, UK to Rio de Janeiro is an approximately 15.5-hour flight. You can also do a combination of flight, taxi, and bus. Traveling from London to Rio de Janeiro, you'll gain 3 hours due to the time zone difference. Expect warmer temperatures when traveling from London in January; daily highs in Rio de Janeiro reach 37°C and lows reach 28°C. Finish your sightseeing early on the 12th (Sat) so you can travel to Sao Paulo. Sao Paulo is known for museums, shopping, parks, nightlife, and historic sites. Your plan includes some of its best attractions: stroll through Ibirapuera Park, browse the fresh offerings at Mercadao - Sao Paulo Municipal Market, examine the collection at Museu De Arte Sacra De Sao Paulo, and admire the masterpieces at Museu de Arte de Sao Paulo Assis Chateaubriand - MASP. For traveler tips, photos, ratings, and tourist information, use the Sao Paulo online trip maker . Traveling by flight from Rio de Janeiro to Sao Paulo takes 1.5 hours. Alternatively, you can do a combination of flight and bus; or drive. Prepare for little chillier weather when traveling from Rio de Janeiro in January: high temperatures in Sao Paulo hover around 33°C and lows are around 23°C. Finish your sightseeing early on the 17th (Thu) so you can travel to Iguazu National Park. On the 18th (Fri), admire the sheer force of Iguazu Falls. On the 19th (Sat), you'll have a packed day of sightseeing: explore and take pictures at Wanda Mines and then take in the dramatic scenery at Salto Bernabe Mendez. For more things to do, photos, traveler tips, and other tourist information, use the Iguazu National Park online trip itinerary maker . Do a combination of flight and car from Sao Paulo to Iguazu National Park in 3.5 hours. Alternatively, you can do a combination of bus, flight, and car; or drive. Traveling from Sao Paulo in January, you will find days in Iguazu National Park are a bit warmer (37°C), and nights are about the same (24°C). Wrap up your sightseeing on the 19th (Sat) to allow time to travel to Buenos Aires. Buenos Aires is known for nightlife, museums, parks, historic sites, and shopping. Your plan includes some of its best attractions: make a trip to Recoleta Cemetery, wander the streets of Puerto Madero, shop like a local with Palermo, and admire the architecture and history at Plaza de Mayo. To find reviews, maps, traveler tips, and tourist information, refer to the Buenos Aires road trip planning website . Do a combination of shuttle and flight from Iguazu National Park to Buenos Aires in 4 hours. Alternatively, you can drive; or take a bus. While traveling from Iguazu National Park, expect slightly colder days and about the same nights in Buenos Aires, ranging from highs of 33°C to lows of 24°C. Wrap up your sightseeing on the 25th (Fri) to allow time to ride a ferry to Montevideo. You'll find plenty of places to visit near Montevideo: Museo - Taller de Casapueblo (in Punta del Este), Playa Punta Colorada (in Piriapolis) and Pizzorno Family Estates (in Las Piedras). The adventure continues: make a trip to Plaza Independencia, admire the masterpieces at Museo Municipal de Bellas Artes Juan Manuel Blanes, wander the streets of Pocitos, and admire the landmark architecture of Palacio Salvo. Start your trip to Montevideo by creating a personalized itinerary on Inspirock. Getting from Buenos Aires to Montevideo by ferry takes about 2.5 hours. Other options: fly; or take a bus. Traveling from Buenos Aires in January, plan for a bit cooler nights in Montevideo, with lows around 20°C. Wrap up your sightseeing on the 30th (Wed) early enough to travel to Mendoza. On the 31st (Thu), learn about winemaking at Andeluna Cellars and then do a tasting at Bodega La Azul. Before you visit Mendoza, use our trip planner to discover what you can do and see there. Traveling by flight from Montevideo to Mendoza takes 5 hours. Alternatively, you can do a combination of flight and bus; or do a combination of ferry and bus. Traveling from Montevideo in January, you will find days in Mendoza are somewhat warmer (38°C), and nights are about the same (19°C). Finish up your sightseeing early on the 31st (Thu) so you can travel to Santiago. Santiago is known for parks, museums, shopping, historic sites, and wineries. Your plan includes some of its best attractions: stroll through San Cristóbal Hill, admire the landmark architecture of Metropolitan Cathedral (Catedral Metropolitana), do a tasting at Upscape, and see the interesting displays at La Chascona. 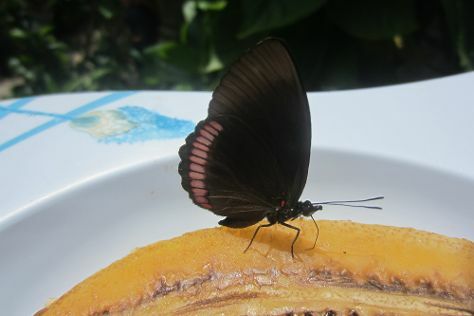 For ratings, where to stay, more things to do, and other tourist information, use the Santiago trip site . You can do a combination of bus and flight from Mendoza to Santiago in 7 hours. Alternatively, you can take a bus. Traveling from Mendoza to Santiago, you'll gain 1 hour due to the time zone difference. Finish your sightseeing early on the 5th (Tue) to allow enough time to travel to La Paz. Take a moment to catch your breath as you commence your holiday in La Paz. On the 6th (Wed), explore the striking landscape at Valley of the Moon and then delve into the distant past at Tiwanaku. Get ready for a full day of sightseeing on the 7th (Thu): take in the awesome beauty at Huayna Potosi, then enjoy some diversion at Urban Rush Bolivia, and then make a trip to Calle Sagarnaga. To see ratings, traveler tips, other places to visit, and more tourist information, refer to the La Paz trip planner . You can fly from Santiago to La Paz in 6.5 hours. Other options are to drive; or take a bus. In February, plan for daily highs up to 17°C, and evening lows to 4°C. Wrap up your sightseeing on the 7th (Thu) early enough to travel to Cusco. 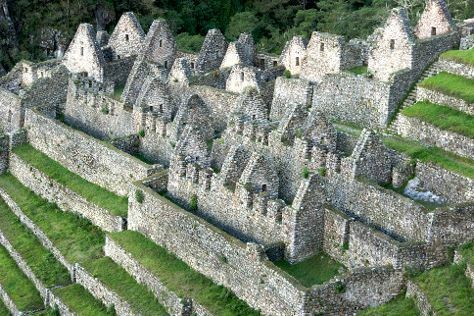 Explore Cusco's surroundings by going to Pisac (Hacienda Sarapampa & Pisac). There's lots more to do: steep yourself in history at Sacsayhuaman, explore the ancient world of Centro Historico De Cusco, get engrossed in the history at Museo Inka, and see the interesting displays at Pre-Columbian Art Museum. To see more things to do, reviews, maps, and other tourist information, go to the Cusco online road trip planner . Do a combination of bus and flight from La Paz to Cusco in 2 hours. Alternatively, you can drive; or take a bus. The time zone difference when traveling from La Paz to Cusco is minus 1 hour. Prepare for a bit warmer weather when traveling from La Paz in February: high temperatures in Cusco hover around 23°C and lows are around 9°C. Wrap up your sightseeing on the 12th (Tue) to allow time to travel to Guayaquil. Hills dotted with colorful houses and waterfront promenades typify Guayaquil, Ecuador's largest city and commercial center. Guayaquil is known for historic sites, zoos & aquariums, outdoors, shopping, and parks. Your plan includes some of its best attractions: wander the streets of Las Penas, get outside with Malecon del Salado, stop by Plaza Lagos, and take in the waterfront at Malecon 2000. To see photos, more things to do, and more tourist information, use the Guayaquil online tour planner . You can fly from Cusco to Guayaquil in 7 hours. Alternatively, you can drive; or take a bus. Traveling from Cusco in February, you will find days in Guayaquil are a bit warmer (36°C), and nights are much hotter (28°C). Wrap up your sightseeing on the 15th (Fri) early enough to travel to Quito. High in the Andean foothills, Quito remains one of the world's most photogenic capital cities, featuring two dramatic mountain ranges as its backdrop. Spend the 17th (Sun) among the fascinating landscape of Cotopaxi National Park. Next up on the itinerary: admire the striking features of Iglesia de La Compania de Jesus, don't miss a visit to El Panecillo, contemplate in the serene atmosphere at San Francisco Church (Iglesia de San Francisco), and contemplate the geological forces at Pichincha. For ratings, where to stay, more things to do, and other tourist information, read our Quito day trip planning tool . You can do a combination of flight and taxi from Guayaquil to Quito in 2 hours. Alternatively, you can drive; or do a combination of taxi and bus. In February, Quito is a bit cooler than Guayaquil - with highs of 24°C and lows of 16°C. Cap off your sightseeing on the 20th (Wed) early enough to travel to Cali. Learning how to salsa may be the most popular thing to do in Cali, but this giant city in southwestern Colombia represents more than just the "Salsa Capital of the World." Home to over 2 million people, thriving Cali serves as a major commercial and industrial center in South America, boasting the fastest-growing economy in Colombia. Cali is known for zoos & aquariums, historic sites, museums, nightlife, and shopping. Your plan includes some of its best attractions: examine the collection at Museo Aereo Fenix, pause for some photo ops at Cristo Rey, meet the residents at Andoke, and tour the pleasant surroundings at Zoologico de Cali. To see more things to do, traveler tips, ratings, and other tourist information, refer to the Cali day trip tool . Traveling by flight from Quito to Cali takes 4 hours. Alternatively, you can drive; or take a bus. Traveling from Quito in February, expect Cali to be a bit warmer, temps between 36°C and 22°C. Wrap up your sightseeing on the 23rd (Sat) early enough to travel to Medellin. 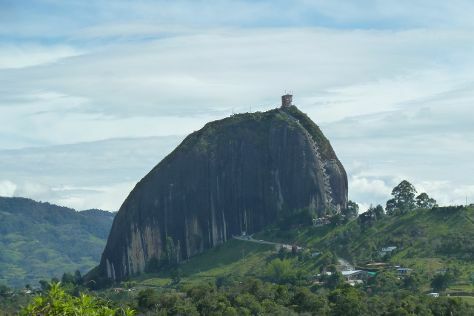 Change things up with a short trip to Piedra del Penol in Guatape (about 1h 50 min away). Next up on the itinerary: get the lay of the land with Walking tours, explore and take pictures at Universidad de Antioquia, don't miss a visit to Plaza Botero, and meet the residents at Parque Explora. For photos, more things to do, other places to visit, and tourist information, you can read our Medellin sightseeing tool . You can fly from Cali to Medellin in 4 hours. Other options are to do a combination of bus and flight; or drive. Traveling from Cali in February, expect nights in Medellin to be about the same, around 20°C, while days are slightly colder, around 32°C. Cap off your sightseeing on the 27th (Wed) early enough to travel to Bogota. 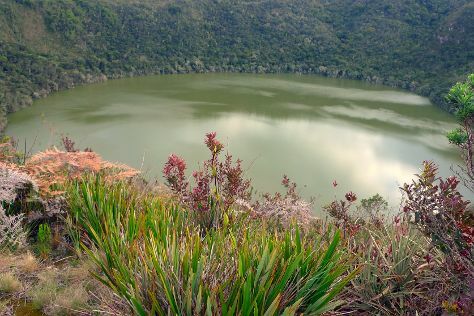 Venture out of the city with trips to Laguna de Guatavita (in Tierra Negra) and Catedral de Sal (in Zipaquira). Spend the 5th (Tue) wandering through the wild on a nature and wildlife tour. And it doesn't end there: examine the collection at Gold Museum (Museo del Oro), tour the pleasant surroundings at Parque de Usaquen, make a trip to Mount Monserrate, and wander the streets of Parque 93. For reviews, where to stay, other places to visit, and tourist information, use the Bogota trip planner . You can fly from Medellin to Bogota in 1.5 hours. Other options are to do a combination of shuttle and flight; or drive. In February, Bogota is little chillier than Medellin - with highs of 24°C and lows of 9°C. Finish up your sightseeing early on the 5th (Tue) so you can travel back home.